How to identify gemstones using a wide range of gemological instruments. Understand the properties and attributes of a variety of gem materials. This intensive course covers over three hundred well-known and less commonly encountered gemstones, and is aimed at providing students with the skills they need to make quick and reliable gem identifications. Learn how to identify gemstones using a wide range of gemological instruments. 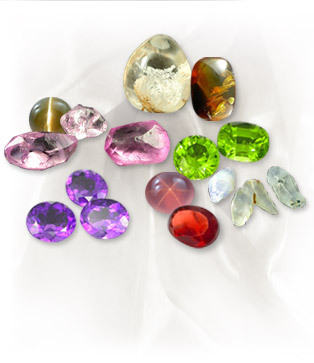 ​Learn about the properties and attributes of a variety of gem materials. ​Connect this knowledge and experience with the real-world gem and jewelry industry. 1 Jul - 25 Sep, 2019 Deadline 15 Apr 2019 Register Now!